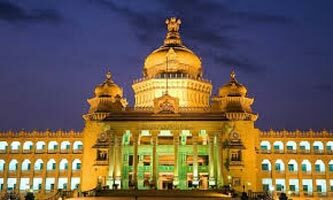 Arrival at Bangalore, Transfer to Mysore by car. En route visit Srirangapatnam - the 18th century Summer Palace of Tipu Sultan. 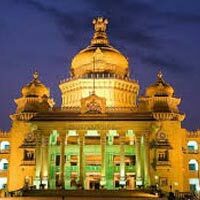 Afternoon city sightseeing tour including the Palace of Maharaja of Mysore.Overnight at the hotel. In the morning drive to Ooty - the "Queen of Hill stations" nestled in the Nilgiri range and popularly known as Ooty, A Britisher Mr. John Sullivan discovered Ooty in 1821; the sheer grandeur of this romantic city is enough to drain anyone out. Afternoon arrive at hotel and rest of the day at leisure. Overnight at the hotel. Morning half day tour of the Botanical Gardens and the Museum with the numerous varieties of ornamental trees and plants is an attraction for all tourists, One can see the best profiles of nature, each embedded with a distinctive grandeur. It's the majestic waterfalls, never-ending forests, and beautiful tea gardens, lush green meadows, placid lake, manicured golf courses that are really spellbinding. Overnight at the hotel.